Easy mode change button cycles through spray functions. Magnetic docking securely holds the handshower into place. Featuring a uniquely integrated showerhead and handshower combination. Bring a sleek, space-saving style to your shower with Converge, an innovative 2-in-1 showerhead and handshower combination from Kohler. 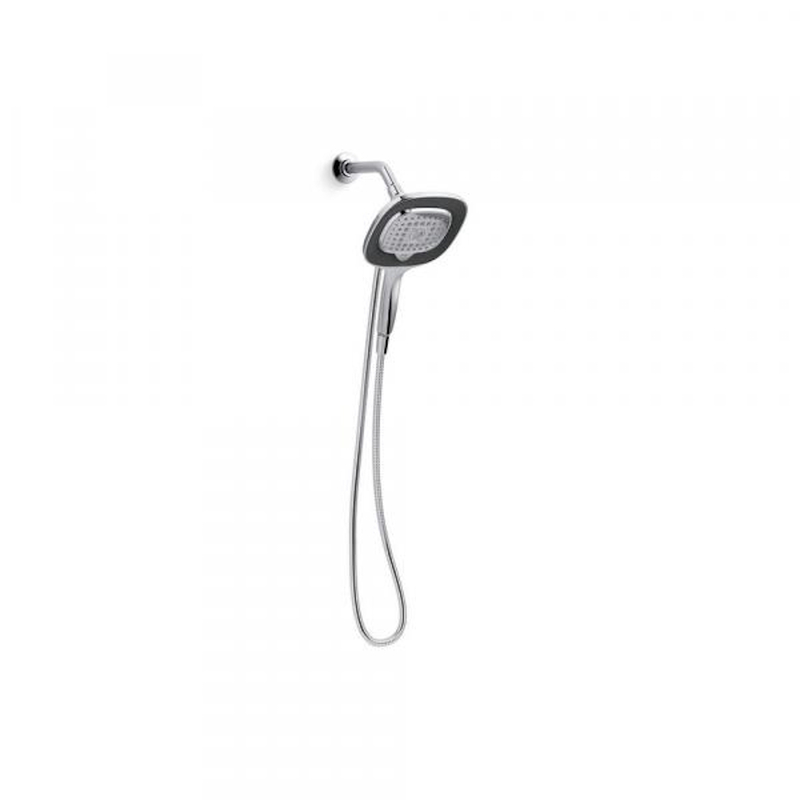 The perimeter of the showerhead detaches to function as a convenient handshower and stays securely in place with magnetic docking when not in use. Whether you use the showerhead or handshower, Converge offers five distinct spray experiences that can be changed at the touch of a button. Infinity Spray is a uniquely shaped water pattern that cleanses, massages, and rinses all in one spray.